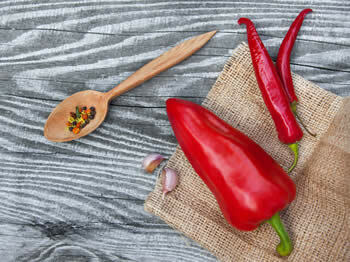 Are you looking for a great hot pepper sauce recipe? Well then you’re in luck because I’ve scoured the internet and found a whole bunch of hot pepper sauce recipes for you to try. 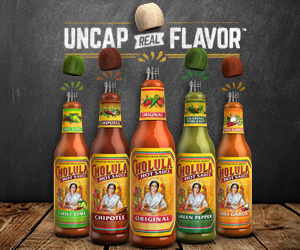 They include: Caribbean Pepper Sauce, Garlic Pepper Sauce, Green Pepper Sauce, Hot Trinidadian Pepper Sauce, Jamaican Pepper Sauce and Southern Pepper Sauce. Now let’s get right to the recipes! Caribbean Pepper sauce is a fine balance of sweetness and heat. This pepper sauce has a combination of sweet Pineapple and the heat from the Habanero Chili Peppers. This pepper sauce can also be served fresh – no cooking needed – just blend all the ingredients and serve. Add all the ingredients to a pan over medium high heat. Simmer for 10 minutes – until the chilies and onions are soft. Let the mixture cool to room temperature, then blend till smooth. This pepper sauce is often served thick and chunky – no need to strain. Garlic pepper sauce is found frequently in Asian inspired cuisine, and of course, the leading flavor is garlic… raw garlic. Simmer for 10 minutes – until the chilies and garlic are soft. Strain the mixture and bottle. 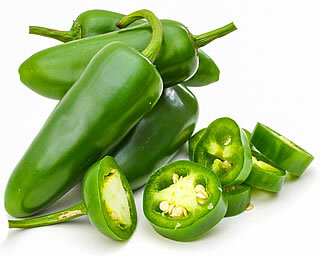 Green pepper sauce is also called Jalapeno sauce. It’s made with a bunch of green jalapenos, cilantro, lime, and green onions. It’s an herb flavored sauce with lots of excitement! Simmer for 10 minutes – until the ingredients are soft. The pepper sauce is often made with Yellow Scotch Bonnet peppers… and yellow mustard, giving this sauce a “School bus Yellow” Color. Add all the ingredients to a blender and blend till smooth. Because of the vinegar, this pepper sauce will keep for several months. When I was in Jamaica, I had a wonderful fruity spicy hot sauce that left a vivid memory of grilled jerk chicken and hot sauce on the beach! This hot sauce is thick and chunky… scoop it with a spoon. In my research, I found a ton of recipes for southern pepper sauce. Why? Because the sauce is so easy to make. It’s a bottle of whole chili peppers topped with hot vinegar. Then the whole concoction is put up and let sit for a while. In the south this pepper sauce is used on everything from BBQ, Greens, Salads, and rice and beans. I’ve even heard of people putting dashes of this pepper sauce on cornbread too! I’ve added a few extra ingredients to make this southern pepper sauce my own. Also, I highly recommend using white wine vinegar instead of distilled vinegar… the taste is very different. Pack the Peppers, Garlic and peppercorns into a glass bottle. Bring the Vinegar and sugar to a simmer then pour into the bottle. Because of the vinegar, this pepper sauce will keep almost forever. So there you have it, six of the best pepper sauce recipes you’ll find. Make a few and see which one you like the best!